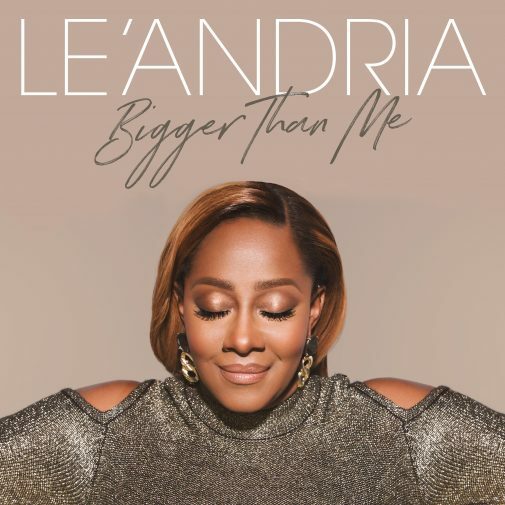 GRAMMY® and Stellar Award-winning artist Le’Andria showcases a fresh sound and elevating musical experience on 10 new songs, as the acclaimed vocalist unwraps a new song and album cover for her upcoming new album BIGGER THAN ME, available for pre-order now. The new song “All I Got” is impacting UAC radio on June 5th, and both “All I Got” and the anthem “Bigger Than Me” are available as instant grat tracks upon digital pre-order, with the full album scheduled for release on Friday July 21st, 2017. Following the release of the album’s title track “Bigger Than Me” as the lead single, the song “All I Got” continues the thrilling creative collaboration between Le’Andria and prolific hitmakers Claude Kelly and Chuck Harmony, with Le’Andria, Harmony, Kelly, and Phil Thornton helming the album as executive producers. Crafting a new style together on a bold spiritual journey, BIGGER THAN ME is a loving celebration and reflection of God’s amazing gifts of constant love, strength, and power to deliver renewal to brighter days. Catch Le’Andria live as she continues to perform this summer, including an upcoming appearance at BET’s Celebration of Gospel, taking place in Atlanta, GA at the Cobb Energy Performing Arts Centre on Friday August 4th, 2017, with tickets on sale now via Ticketmaster. Le’Andria: BIGGER THAN ME, is available for pre-order now via the digital providers below. 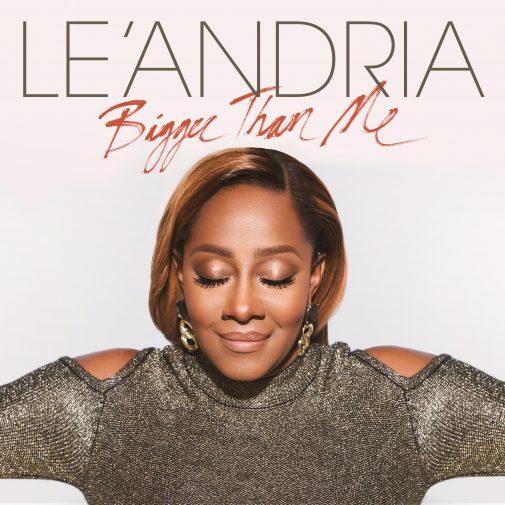 GRAMMY® and Stellar Award-winning artist Le’Andria introduces a dose of joyful sunshine with the release of the uplifting new single “Bigger Than Me”, available at digital providers now and at radio beginning April 17th. Marking the lead single from her upcoming new album, Le’Andria also unveils several new visuals with the lyric video for “Bigger Than Me” (http://smarturl.it/BTM-Lyric-Vevo) and launching her new website (http://www.LeAndria.com/). 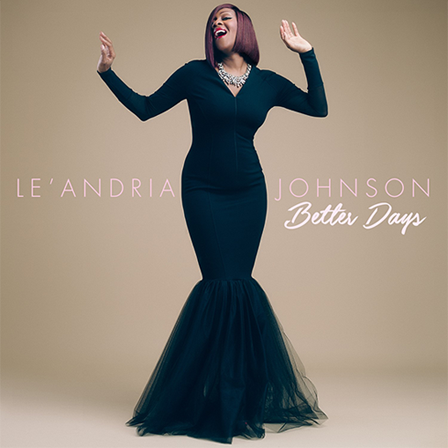 Penned and produced by renowned hitmakers Claude Kelly and Chuck Harmony (whose range of work includes Fantasia, Rihanna, Bruno Mars, Tori Kelly and more) – the bubbly, funky track and Le’Andria’s soaring vocals invite listeners to take to heart the empowering message of self-acceptance and praise for God’s unique plans – with lyrics such as “Don’t let anybody hold you back! / You were made for something special / Now that’s a fact”. Fueling self-confidence with the encouragement of not being afraid to be yourself, “Bigger Than Me” showcases a refreshing outlook to push through uncertain times, pairing Le’Andria’s celebrated voice with a creative new sound. Building anticipation among fans for what’s in store, Le’Andria continues to record for her new album and perform across the country, with recent performances in the Las Vegas and Memphis areas, and an upcoming performance on Sunday, April 23rd, 2017 at the Carl Perkins Civic Center in Jackson, TN. Le’Andria: “Bigger Than Me” is available now via digital providers including Apple Music, Amazon, and Google Play.